Lagos State Police command, Monday denied claims by musician Praise Ugbede Adejo, popularly known as Praiz, that he was harassed by the policemen on duty. 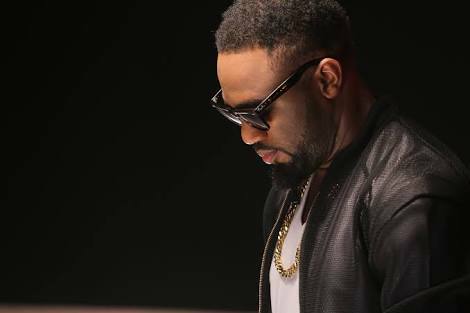 Praiz had alleged on social media that he was harassed by operatives of the command. Reacting, the command’s spokesperson, SP Chike Oti said the musician was blackmailing the force. He explained that Praiz’s car was flagged down for over speeding by policemen who were not SARS officials. His statement in full: “On Dec. 19, at 12 midnight, policemen attached to Area ‘J’ Command Headquarters, Ajah, Lagos, who were on routine, anti-crime patrol along the Lekki/Epe expressway, noticed a car at top speed approaching their end. “The policemen sensed that the speed was much and so were alarmed, hence they flagged down the car to check on the occupants and if necessary, search the trunk of the car. “When the car stopped, the officers who were in their uniforms, approached the driver but to their disbelief, the driver, who was yet to be addressed by the policemen became hysterical, without provocation and started shouting “SARS, SARS, SARS… OOO”. “It was at the Area Commander’s Office that they got to know that he is a musician that goes by the name ‘Praiz’. The Area Commander questioned him and advised him to be of good behaviour. “He, thereafter, departed the police station peacefully, without any molestation whatsoever. The Police authority in Lagos nevertheless felt scandalised by Praize’s rudeness to the men in uniform, who were out to ensure law, order and safety along the Lekki/Epe corridor.